Earl. Daniel Robert, 21, 15th September 1916, 1st Bn. 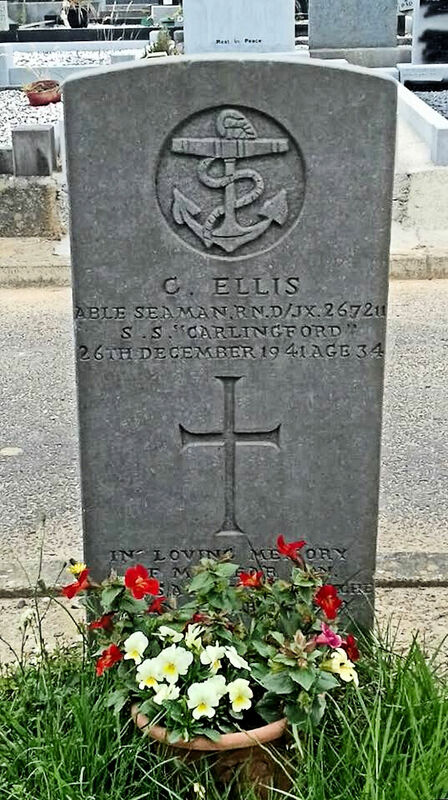 Irish Guards, 4228, Lance Corporal, Son of Richard and Elizabeth Earl, of "Brohatna," Mount Pleasant, Dundalk, Co. Louth, THIEPVAL MEMORIAL, Pier and Face 7 D.
Ellis, Charles, 34, 26th December 1941, Royal Navy, H.M.S. 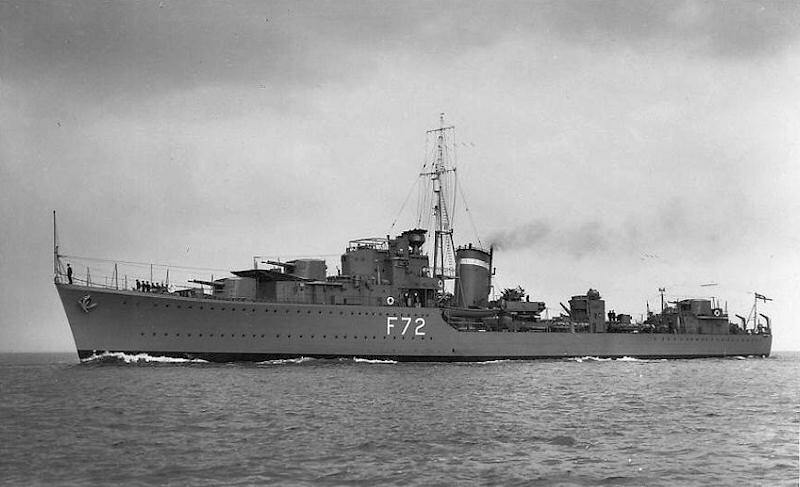 President III, D/JX267211, Able Seaman, Son of Alfred and Mary Ellis, of Birkenhead. BALLYNANEASHAGH (ST> OTTERANS) CATHOLIC CEMETERY< Grave N/15/0. English, James, 38, 22nd March 1916, 9th Bn. 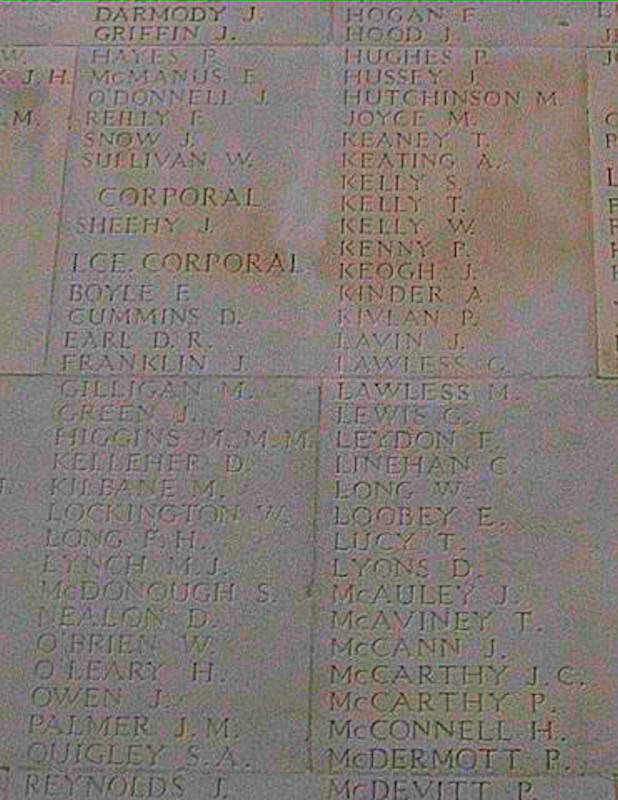 Royal Munster Fusiliers, 4414, Private, Son of James and Catherine English (nee O'Keefe); husband of Catherine English (nee Whelan), of 5, Thomas Avenue, Waterford, LOOS MEMORIAL, Panel 127. Eustace, Edward, 21, 4th July 1916, 2nd Bn. 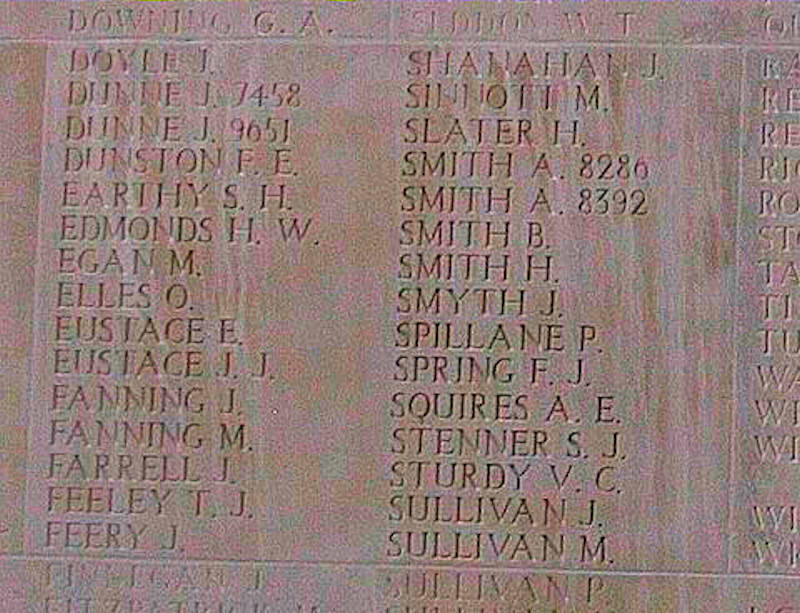 Royal Irish Regiment, 7514, Private, Son of Mr. M. and Mrs. E. Eustace, THIEPVAL MEMORIAL, Pier and Face 3 A.
Eustace, John Joseph. 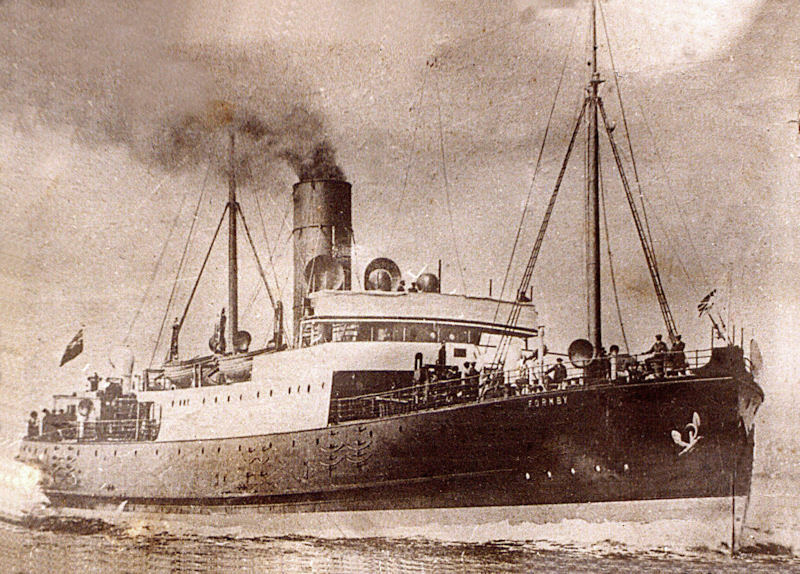 23, 5th September 1916, 2nd Bn. Royal Irish Regiment, 7556, Private, Son of Mr. M. and Mrs. E. Eustace, THIEPVAL MEMORIAL, Pier and Face 3 A.
Everett, John, 27, 2nd May 1941, Royal Navy, HMS Jersey, P/SSX 15284, Able Seaman, Son of William P. and Agnes J. Everett, of Faithlegg, Waterford, Republic of Ireland, PORTSMOUTH NAVAL MEMORIAL, Panel 47, Column 3.